Thinking of flying the coop and heading to Camden for a while? 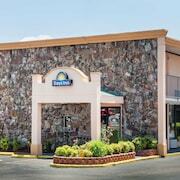 lastminute.co.nz offers a number of fabulous short and long-stay accommodation options. 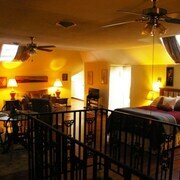 The Paris Knights Inn is a popular accommodation choice due to the fact that it is so close to Paris's heart. One of the relatively small number of lastminute.co.nz-listed no-frills accommodation options in Paris is the Paris Knights Inn. 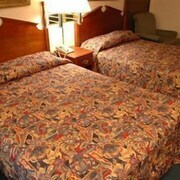 Check out the Home Sweet Home Bed and Breakfast and the Best Western Home Place Inn. The Home Sweet Home Bed and Breakfast is a kilometre away from the centre of Paris. 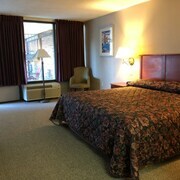 The Best Western Home Place Inn is situated 30 kilometres away. 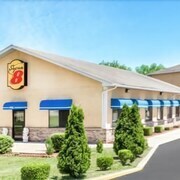 Alternative accommodation options are the Quality Inn and the Value Inn Mckenzie. Thinking you'd like to travel a bit further afield? 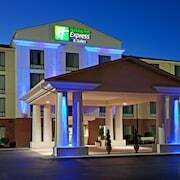 Western Tennessee has plenty of other awesome places to check out. Photographers will love Western Tennessee's rivers and rolling hills. Or, visit some of the region's historic mansions. In this part of United States of America, visitors can also enjoy mountain biking. If sport is your thing, make sure you visit West Tennessee Healthcare Sportsplex, which is 80 kilometres to the southwest of Paris. 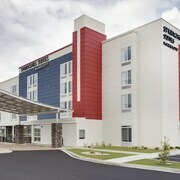 For visitors who fancy booking a bed nearby, make a reservation at the Residence Inn Jackson or the Hampton Inn & Suites Jackson. Paris features so many terrific attractions for locals and visitors alike; lastminute.co.nz can get you there, on time, on budget and in style!